Sometimes in law a ‘legal fiction’ is created to solve a problem that could otherwise lead to a ludicrous or even more complex and messy result. However successive Australian Governments have created fictions when dealing with asylum seekers. The are intended not to help asylum seekers but to find ways of excluding them. The term ‘illegal maritime arrivals’ is a fiction, because the term does not appear in Migration Law. Instead we have the linguistic contortion of ‘unauthorised maritime arrivals’ - an invention of the Gillard Government. Other fictions are the idea of a ‘queue’ for asylum seekers, a fantasy that is used for political leverage. The 2012 Expert Panel report on Asylum Seekers referred to the fictions of the ‘no advantage principal’. The idea was that people arriving by boat should not get an ‘advantage’ in having their cases processed quicker than those waiting outside of Australia in the mythical queue. A problem was there was no average time or in fact any useful measure that could be used to give any meaning to what the ‘no advantage principal’ meant. The latest example is the case of Baby Ferouz, whose protection visa application was refused in the Federal Circuit Court last week. The facts of the case raised complex legal issues. Baby Ferouz’ parents are Rohingah, an Islamic ethnic group that is persecuted in Burma to such an extent that they are mainly stateless. Her parents arrived in Australia by boat in September 2013, after Kevin Rudd had announced that all those arriving by boat would be sent to PNG or Nauru for determination of their case, so off to Nauru they were sent. However Ferouz’s mother was pregnant and medical staff on Nauru decided it was not safe for her to give birth on the Island, so arrangements were made to send the mother to Brisbane for the birth. She was accompanied by her spouse and their other children, but to ensure they did not make a claim for protection in Australia, they were termed ‘transitory persons’. This unpleasant term goes back to 2001 when the first Pacific Solution cases were sent to Nauru and some had to be transferred to Australia for medical treatment, but also a ban on them making any refugee application in Australia was created in the Migration Act. Baby Ferouz was born in Australia to parents who were ‘unauthorised maritime arrivals’ when they arrived in 2013 and now ‘transitory persons’ since coming from Nauru. Normally, a child born in Australia is considered to have the same visa as their parents, unless one parent is an Australian citizen or permanent resident. However Ferouz’s parents had no visa, so lawyers in Brisbane arranged for her to apply for a protection visa. Immigration said the application was invalid because of the ban on ‘unauthorised maritime arrivals’ and ‘transitory persons’ from applying onshore as refugees. Her lawyers argued that as Ferouz was born in Australia, she had no entered Australia by boat, therefore the bans that affected her parents did not affect her. 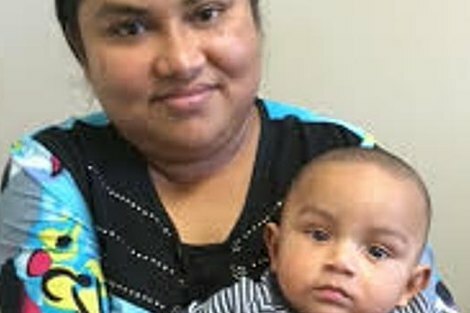 Baby Ferouz should not be deemed by legal fiction to be an ‘unauthorised maritime arrival’, because she did not enter Australia ‘by air’, even though she never arrived by sea, but in the Brisbane hospital. Sadly the Federal Circuit Court Judge ruled otherwise. The Court held that in order to interpret the section dealing with children born here, it was necessary to consider what the section was intended to mean when it was first introduced back in 1986. Back then the similar section was introduced when the Citizenship Act was changed so that children born in Australia no longer became Australian citizens at birth unless a parent was a citizen. Rather they took the immigration status of their parents. As the parents were ‘transitory persons’ then so was baby Ferouz. Counsel for the applicants, a former solicitor general for Queensland, pointed to a flaw in this reasoning namely if someone overstays their visa (not a ‘naughty boat person’ who has no visa to arrive, but say a UK backpacker) and they have a child to say another unlawful backpacker, the logic of the case is that the child becomes an ‘unauthorised maritime arrival’ because the parents are unlawful, even though the parents arrived on a visa but let it lapse . This means such child must be sent to ‘a regional processing country’ (ie Nauru or PNG) unless the Minister personally intervenes. The Judge accepted this could be the remarkable result of this reasoning. The Minister already has a Bill before parliament to deem people whose parents are ‘unauthorised maritime arrivals’ or ‘transitory persons’ to take this same immigration status and thereby be unable to make any applications in Australia and be forced to go to Nauru or PNG. It is part of an omnibus 112 page Migration Amendment Bill which reduces right of refugees in Australia and creates another fiction – fast tracking processing – this is designed to be ‘efficient and quick’ but ignores fairness and justice. When we think of legal fictions it would be better to think of the celebrated Rumpole of the Bailey, rather than the harmful linguistic contortions used to cause harm to people who are claiming protection from persecution. Legal fictions like Rumpole do not cause harm and destroy hope, unlike what is happening in Australia to refugees who arrive by boat. I normally take a hard line on refugee status but my view is that if someone is born here they are automatically Australian. It is your country of birth which determines your Nationality, not you race otherwise most Australians aren't citizens! And the illegal and disgusting claim that the law is to deter people paying so-called smugglers so a baby born in Brisbane must be punished. The people smuggler yarn is a legal fiction as well, our courts have said for the past 14.5 years that simply providing transport to the authorities of Australia is not people smuggling. No matter how many times the media are sent such documents though they never read them and never read the truth. .
Good article but needs some editing. Also Ferouz is a boy not a girl. Once again the fiction that the term queue-jumper is just a fiction has been resurrected. But as I sought to show in an earlier ES thread (“Just like the original TPV only nastier”) use of the term is justified – or has been. Changes to Australia’s quota system in March looks like opportunities for queue-jumping have declined. However, the reality of queue-jumping by asylum-seekers has been endorsed by refugees who have come to Australia through normal channels. They have not been able to get family members into Australia because asylum-seekers have got in first – reducing the number of places available for their kin still stuck in refugee camps. There has been little publicity about this except for a couple of small articles in The Australian whose supposed anti-AS bias the AS lobby repeatedly condemns. This lobby has got off lightly – so far. Had the Oz the will to use its formidable editorial resources to forensically examine what drives the AS lobby one would expect more than a few of its operatives might start to squirm. .
Denis, With 53 million displaced people on the planet precisely where is this silly queue? QUESTION TAKEN ON NOTICE SUPPLEMENTARY BUDGET ESTIMATES HEARING: 20 OCTOBER 2009 IMMIGRATION AND CITIZENSHIP PORTFOLIO (80) Program 2.1: Refugee and Humanitarian Assistance Senator Fierravanti-Wells asked: In relation to the number of places allocated to non-UNHCR-registered asylum seekers, please provide a breakdown including: a. the number of places allocated to unauthorised arrivals by boat; b. the number of places allocated to unauthorised arrivals by air; c. the number of places allocated to persons who had arrived on a valid visa and then sought asylum; d. the number of places allocated to over-stayers who subsequently claimed asylum. Answer: Allocations, targets, or limits are not made in relation to Protection visas for asylum seekers. If all the criteria for a Protection visa are met, the visa will be granted and no distinction within the Program is made regarding the lawful status or arrival means of the applicant. Marilyn: A 2012 SBS Factsheet, Series 2 (“Are refugees who arrive by boat queue jumpers?”) states “The onshore and offshore components [of Australia’s refugee program] are numerically linked, which means that every time an onshore applicant is granted a Protection Visa, a place is deducted from the offshore program [those refugees who have arrived legally in Australia under UNHCR auspices]”. And yes, there are about 53 million refugees world-wide and most are not registered with the UNHCR. But those who are, are available for resettlement in countries like Australia – provided there are places for them. But if these places have already been taken by asylum-seekers then there are none left for UNHCR (offshore) refugees. The Government’s 2009 reply to the Senator was misleading and evasive. It was clearly designed to obscure the realities of a disastrous asylum-seeker policy reintroduced by the Rudd government which even then was favouring self-selecting, queue-jumping economic migrants over genuine refugees. Why are you not pushing for the refugee intake to be restored to 20,000 and for say an additional 5000 places to be allocated for Women at Risk from ME countries instead of trying to defend queue-jumping opportunists? . Denis the article you quote says refugees are not jumping any queue as the two programs are different. Resettlement is voluntary, protection is an obligation and never the two shall meet. Marilyn: The SBS factsheet I quoted from also clearly states that onshore and offshore asylum seeker numbers were linked but does its best to refute the queue-jumping claim – though not very convincingly. More to the point: figures from Australia’s Humanitarian Programme (HP) quite clearly show the onshore/offshore link. In 2008/09 (when Labor scrapped Australia’s existing Border Protection policies) our Special Humanitarian Programme (SHP) took in 4511 legally arriving asylum-seekers (offshore) to 2492 onshore (boat and plane arriving asylum-seekers). (See Fact Sheet 60 – Australia’s Refugee and Humanitarian Programme) By 2012/13 there were only 503 offshore to 7504 onshore arrivals. As more asylum-seekers arrived by boat etc, the number of places for offshore asylum-seekers shrank dramatically because the latter’s places had been taken by the former. However, in September 2013, the Coalition government cut the HP to 13,750 places of which 11,000 were for offshore (SHP) and refugees while only the remaining 2750 were for onshore people who had arrived legally in Australia. (See Department of Immigration and Border Protection’s “Information Paper” December 2013) These changes would theoretically greatly restrict the numbers of places that can be “queue jumped” by boat and plane arriving asylum-seekers. In fact though the Abbott government’s stop the boats policies have virtually halted all such arrivals, meaning that there will be very few that could do that anymore.